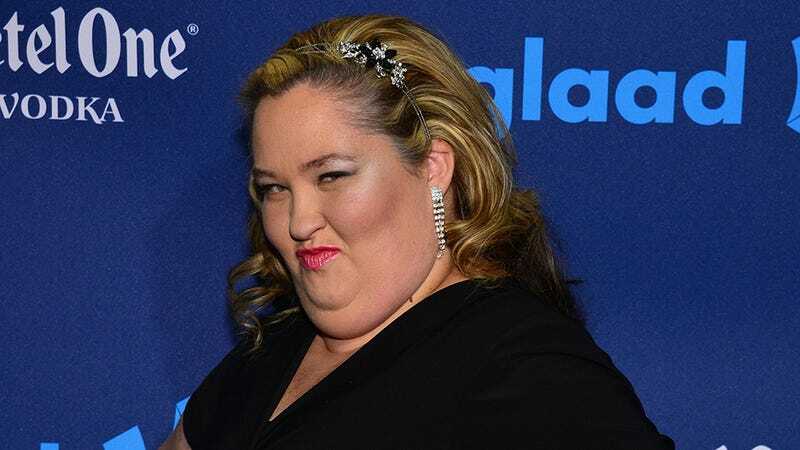 In the latest back and forth between the family members that used to make up TLC's Here Comes Honey Boo Boo, Anna "Chickadee" Shannon, who was allegedly molested by one of June's exes, told Dr. Phil that her mother isn't capable of being honest. Cosmopolitan reports that Shannon, who's been estranged from the family since she accused her mother's former boyfriend of the molestation, also says that June isn't letting her have any of the money she's owed, refusing to part with even one cent of Shannon's trust fund. And Shannon's worried that June might be spending what's in her account. "Mama's name is on every single account [as] the head owner of the account," she said. "So, she can withdraw, take money out, give money, she can do any of that. I'm at the bottom cause I signed it when I was a minor." June has stated that she sent Shannon all the money but, according to Shannon, that's just another in a long string of lies that June's been telling forever. "She's lied my entire life," Anna said. "She doesn't have the ability to tell the truth." The full interview will run this Thursday.